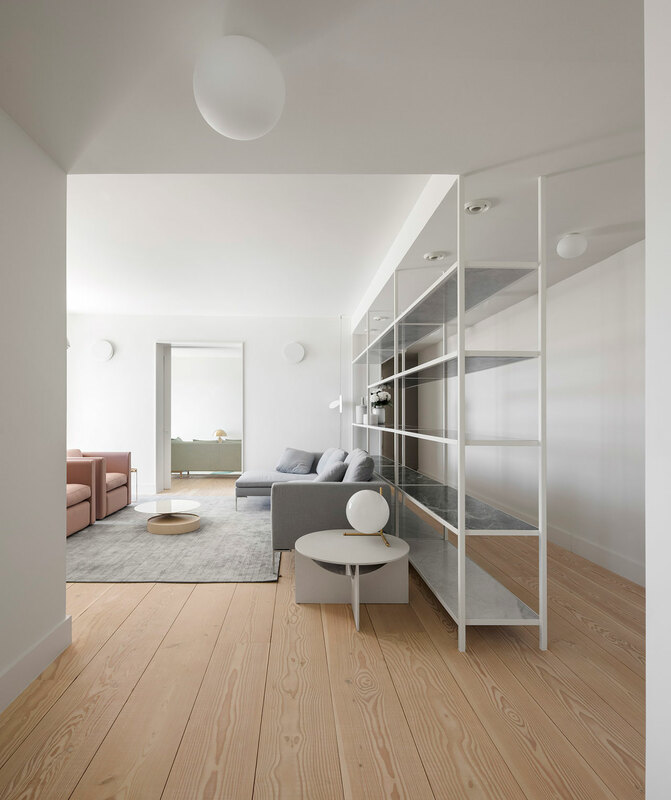 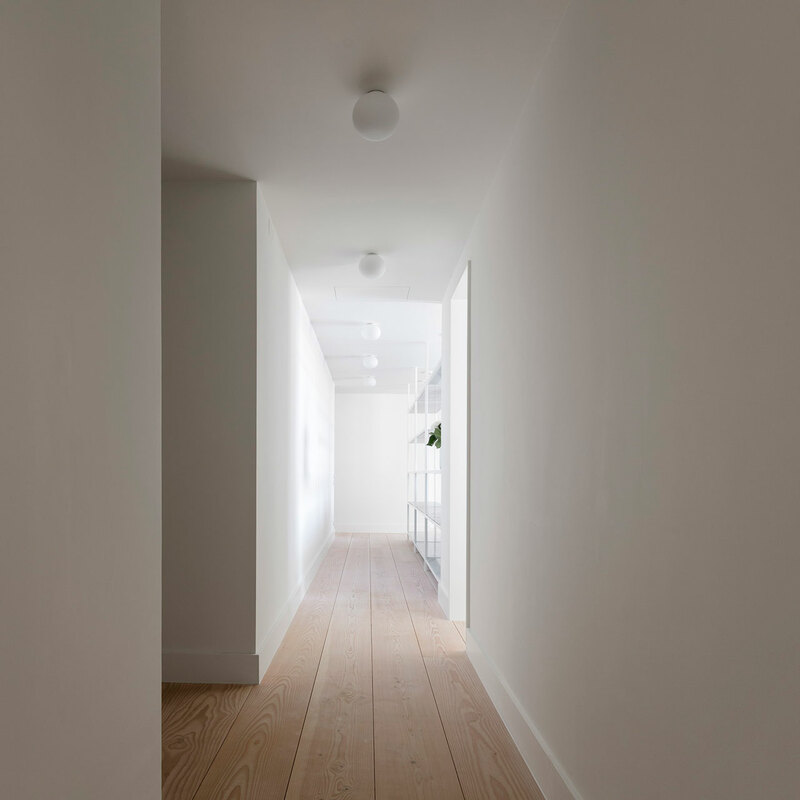 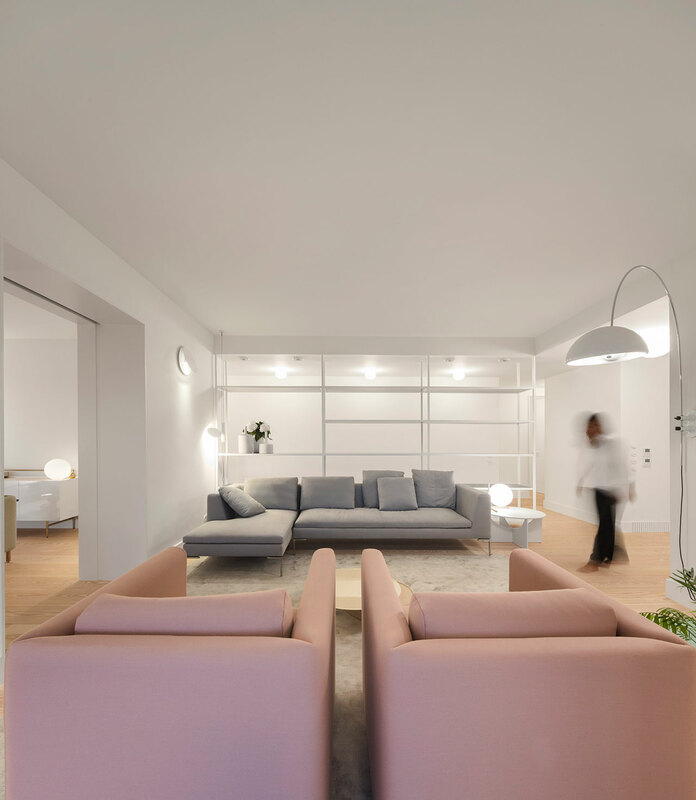 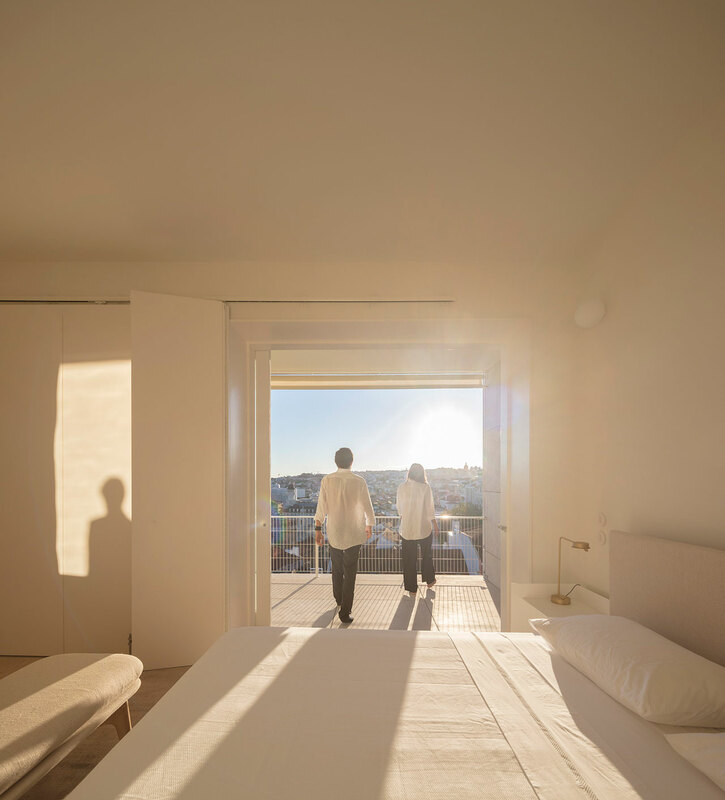 Minimalism in all its forms seems to be the trademark of the renovation of Apartment AMC in Lisbon's Chiado district by rar.studio. 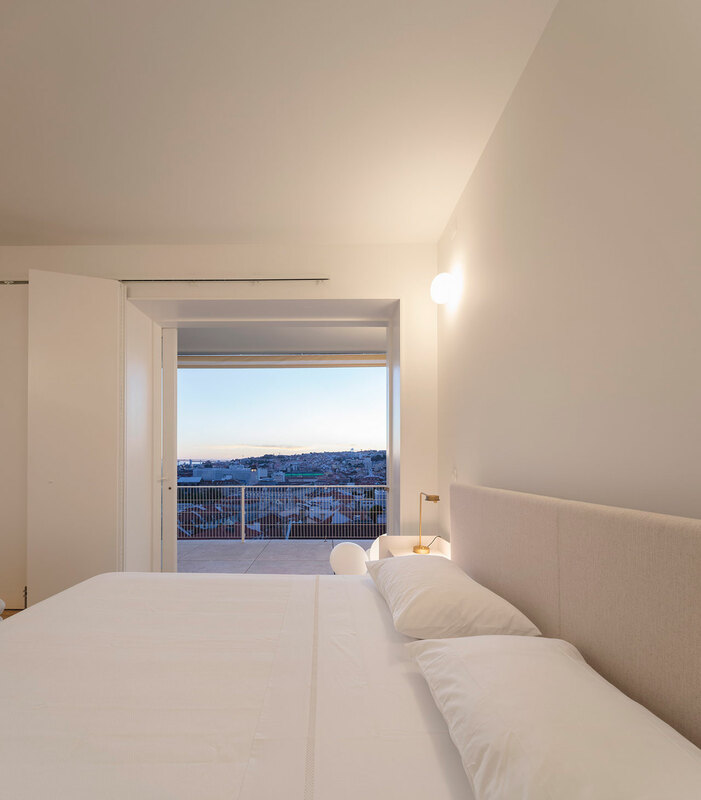 Located in a building block known as Terraços de Bragança, which was designed by Álvaro Siza in 2004, the apartment's latest reincarnation - which was completed in 2017 - is one filled with light and plays to the original architectural elements of the structure all the while casting them anew. 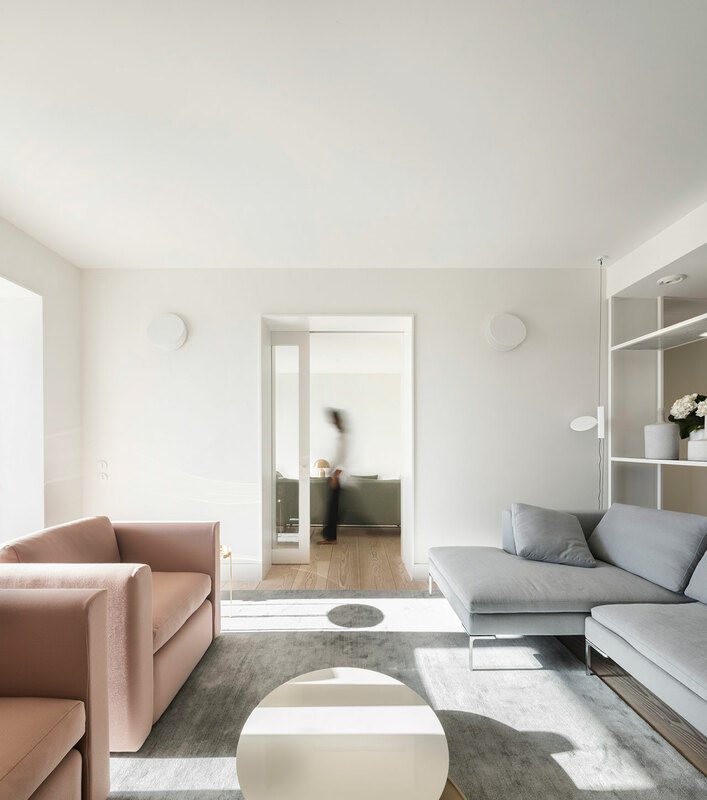 For the renovation, the architects focused on the needs and wants of their client and did so in a way so as to show ample respect for the original 170 square meter structure. 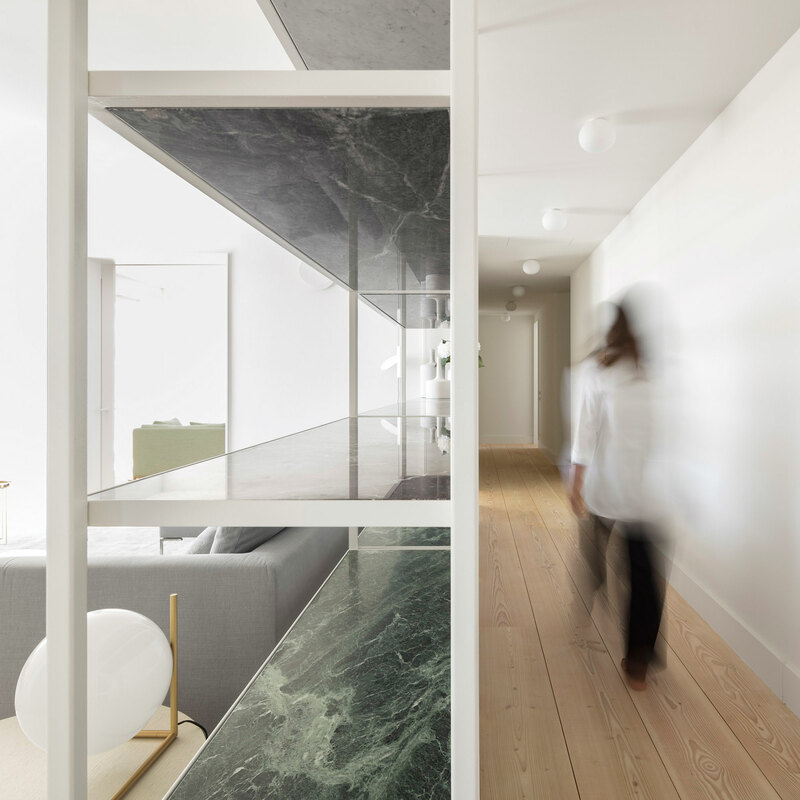 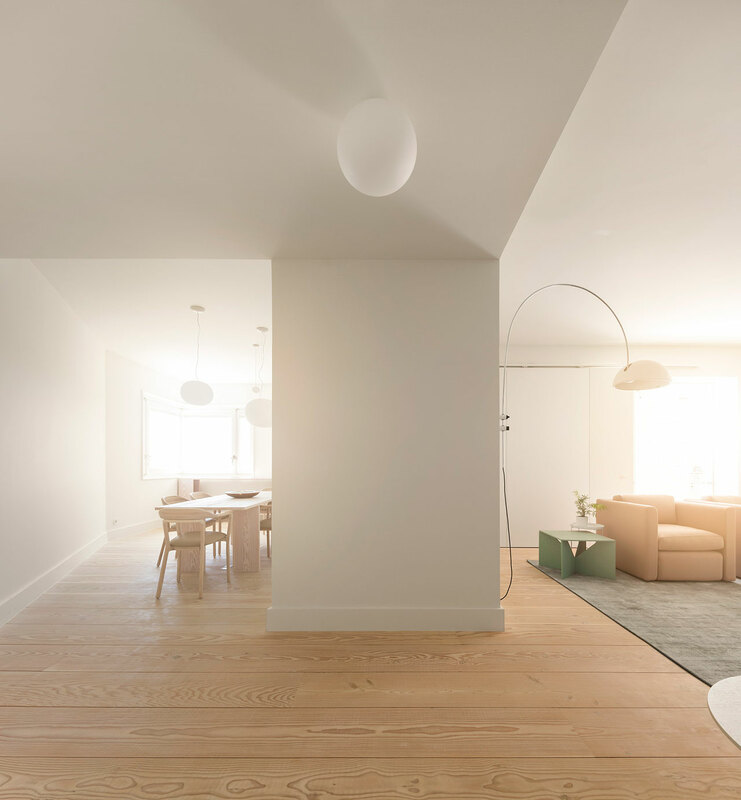 This means that although various interventions were made to the apartment, the changes focused on increasing the space and light, rather than reconfiguring the layout. 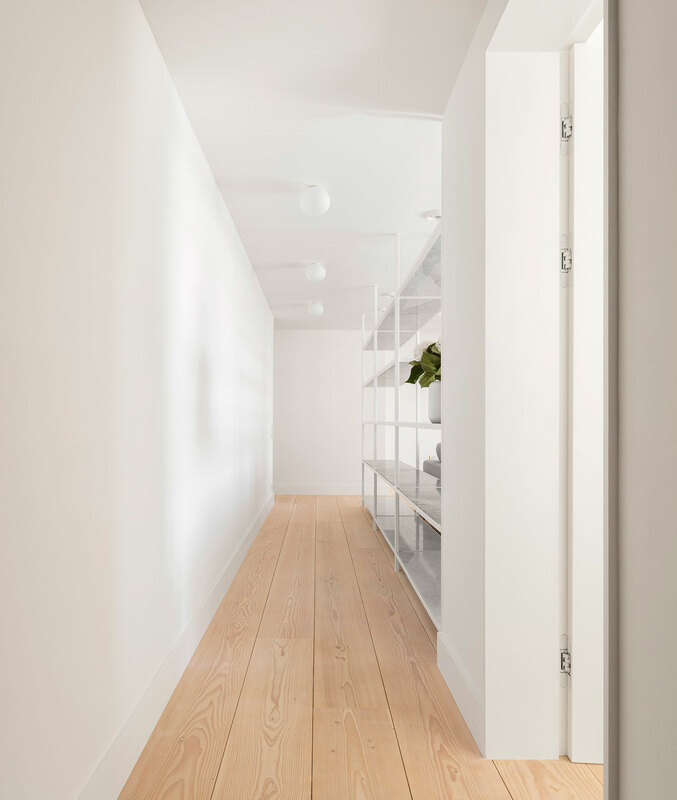 Wide, light wood floorboards and white-painted walls run throughout and all the furnishings chosen also reflect this airy feel. 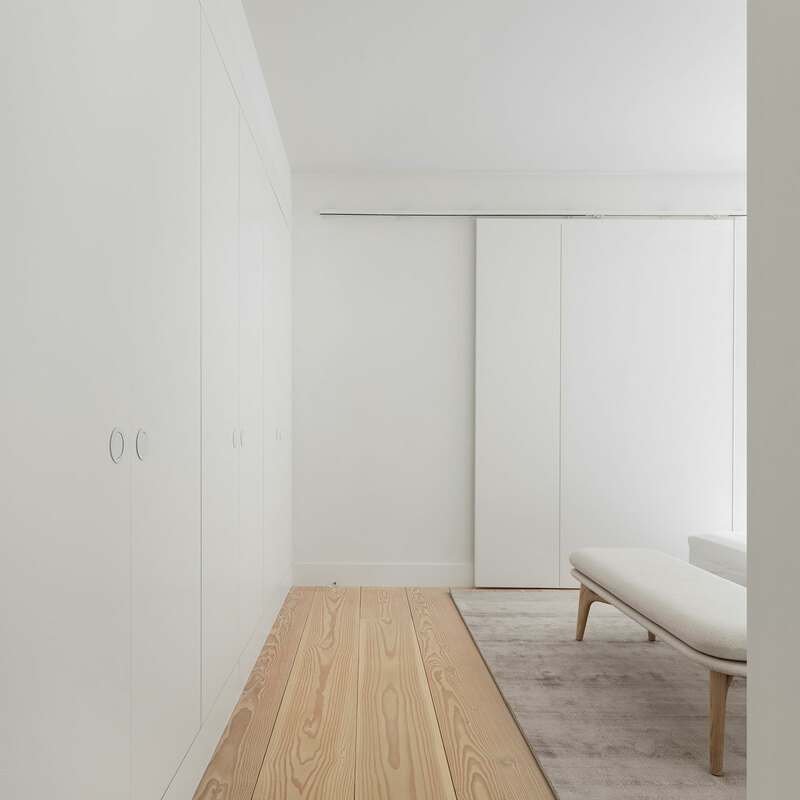 Light colored wood pieces play off shades of white as well as off of pale tones of mainly gray and beige. 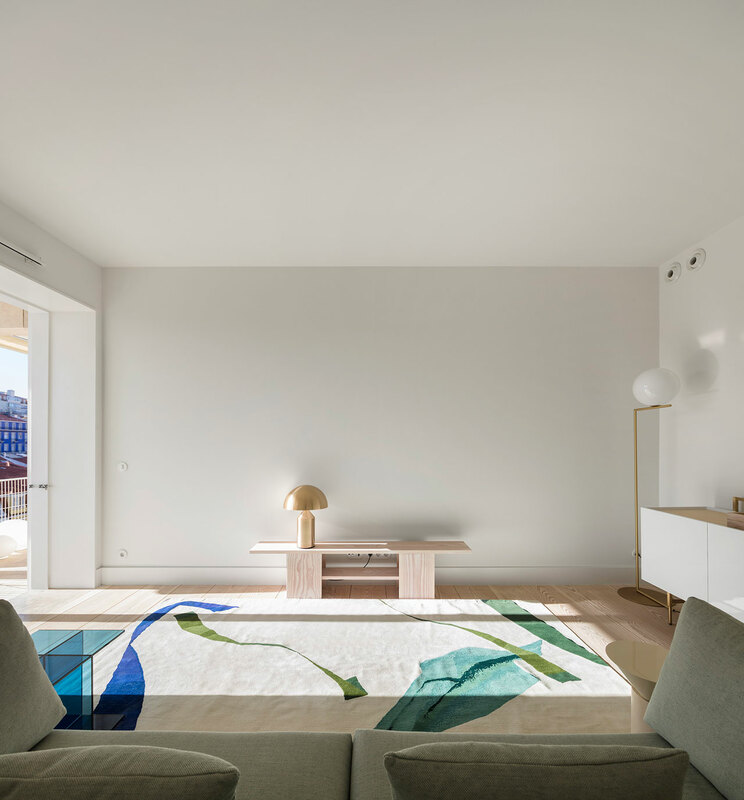 But a couple of touches of brighter colors seem to "sneak in," such as the pale green side table in the living room and the blue pattern on an otherwise predominantly white rug… in a serene, predominantly white bedroom. 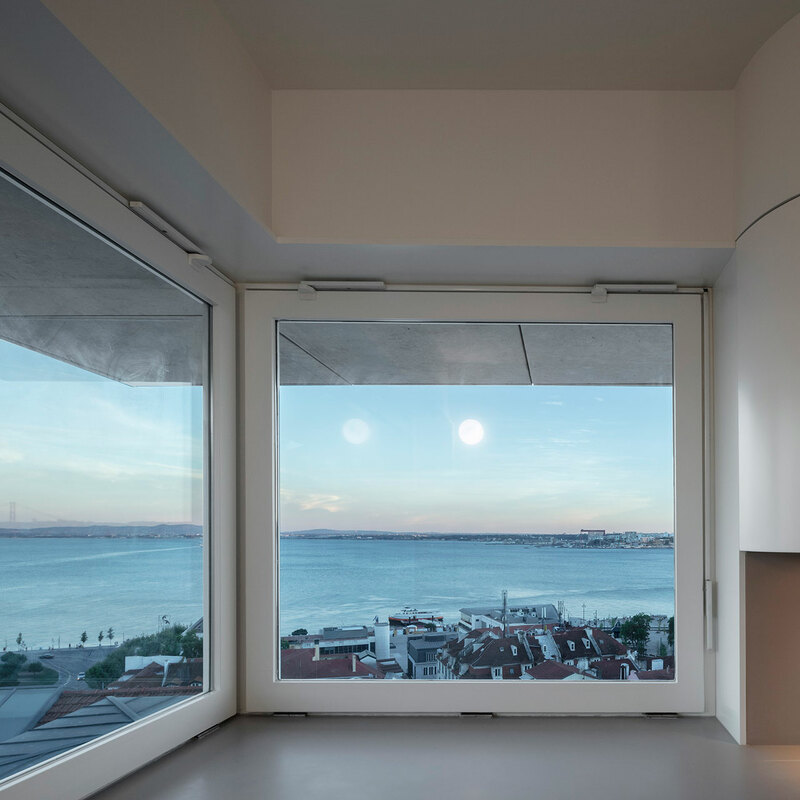 The kitchen is also white; a choice which beautifully plays off of the deep blue, sea views coming in from the wide windows. 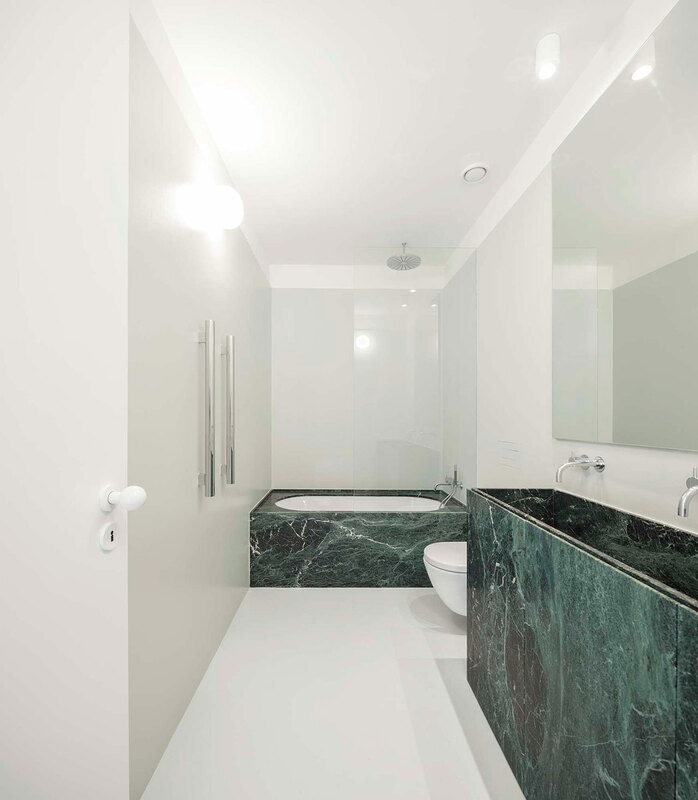 The dark gray marble in the bathrooms seems to be the only deep color in the entire scheme, making it an all the more dramatic, stand-out choice. 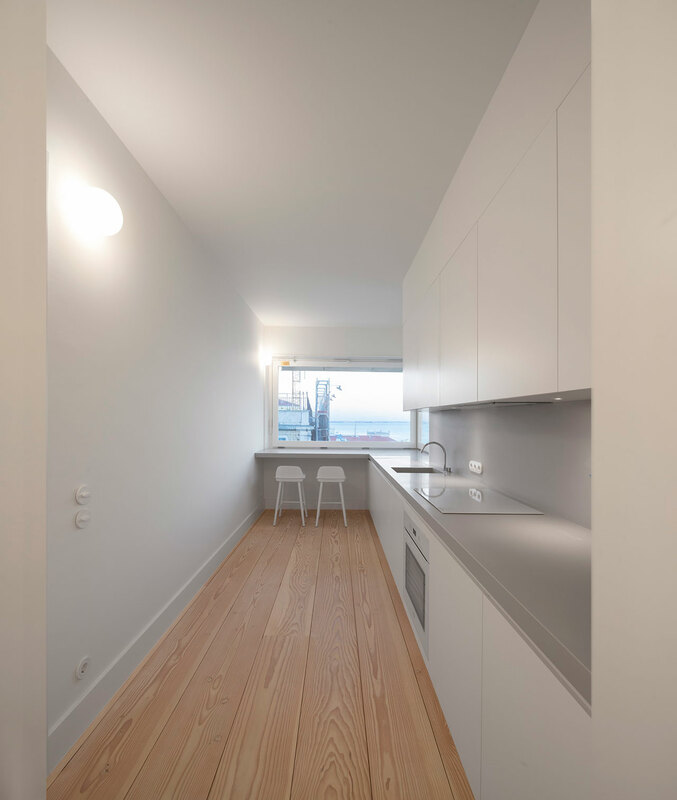 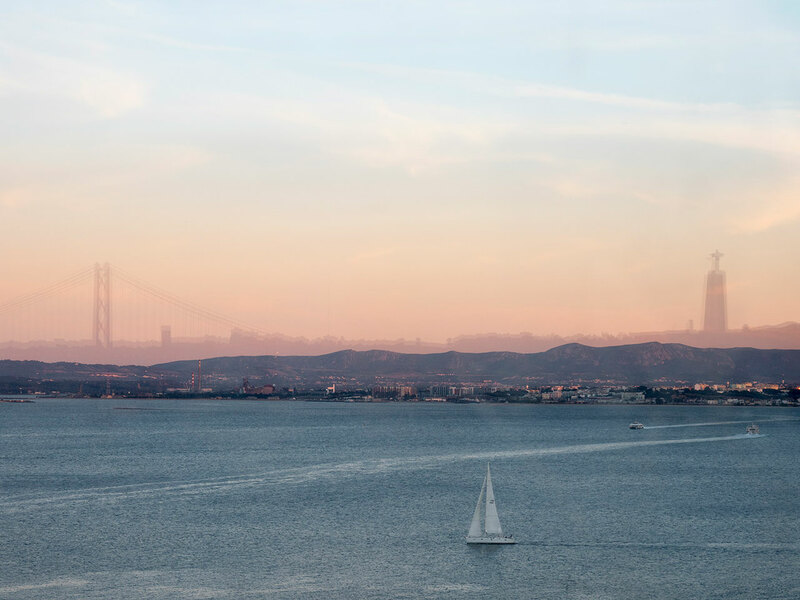 The scope of this apartment was a standout from the beginning. 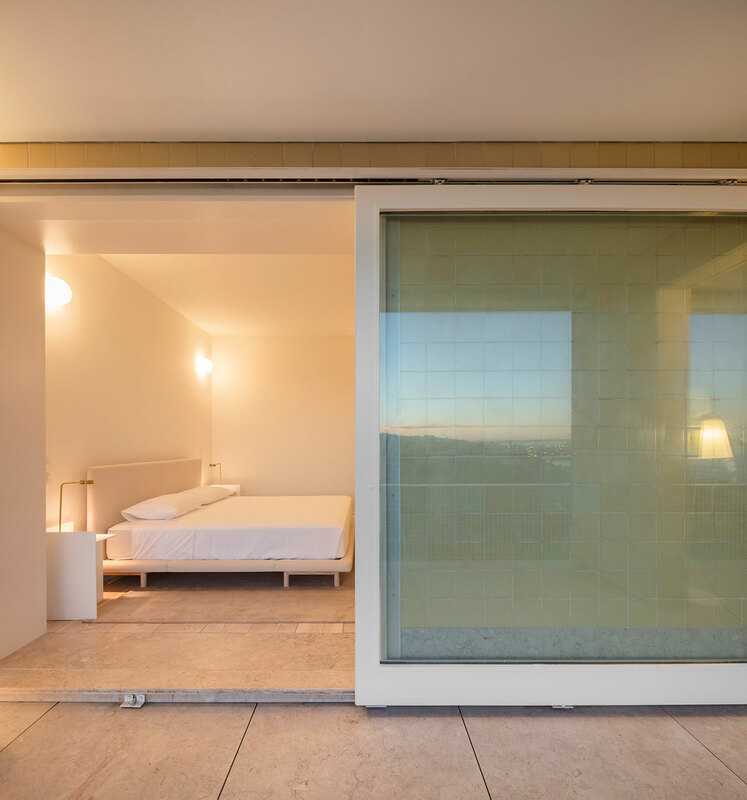 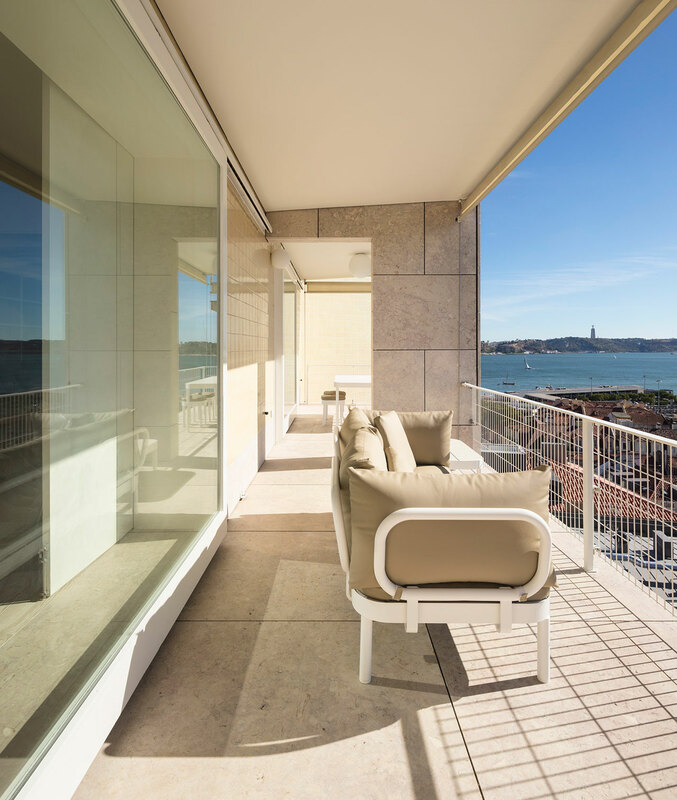 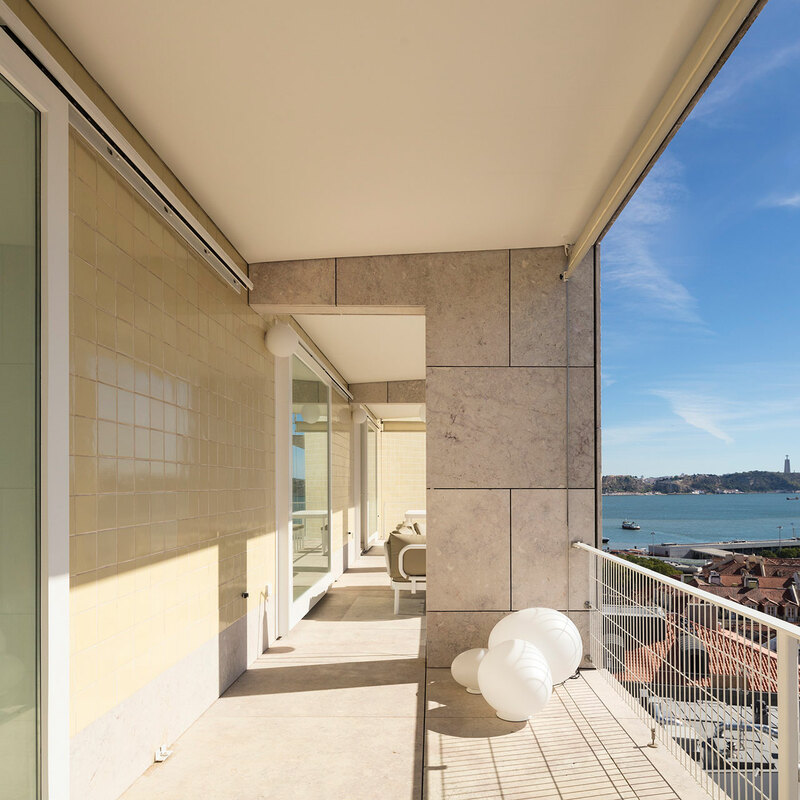 And what this recent refurbishment has accomplished is to provide tweaks and enhancements to the original, respecting Álvaro Siza's design while beautifully infusing it with the personality and desires of its current owners.